Women's health website Lifescript sends up to 30 million emails a day to subscribers, and runs complex data analytics to find relevant information to send to users. Though they had adopted hybrid arrays with another vendor to improve IOPS performance, Lifescript was still constantly constrained by latency. 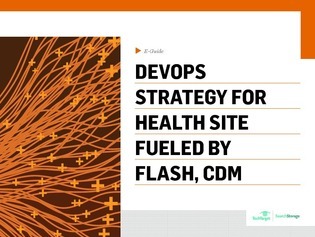 In this expert guide, discover how Lifescript implemented a revenue-boosting DevOps strategy with all-flash storage and copy data management, reducing latency and helping Lifescript pump out relevant information faster than ever. Read on to see how this SSD/CDM duo succeeds, with built-in data deduplication and more.